Getting started in glass fusing has never been easier with the Fuseworks Craft Kiln. An easy to use beginner/intermediate level craft kiln with an adjustable electronic timer. Kiln allows you to fully fuse a two layer project in as little as 15 minutes! 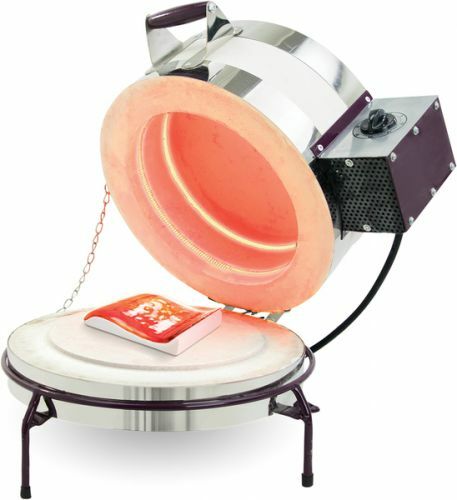 Firing Chamber: 8" diameter x 4"H.
Outside Measurements:11-3/4" dia x 9-5/8"H.
- Glass testing is fast & fun. - Plugs into 120 V wall outlet; needs no other heating source. Shipping: Available via UPS/Fed Ex.